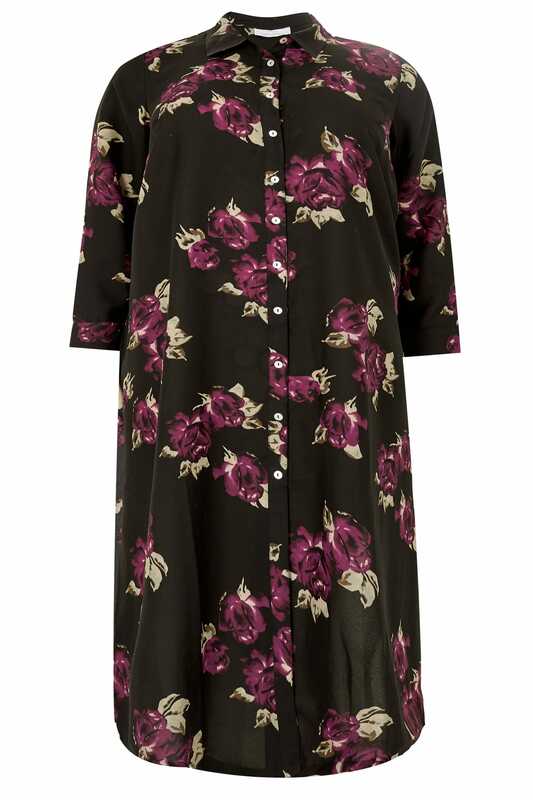 Update your desk-to-dinner wardrobe with this chic maxi shirt from Yours London. 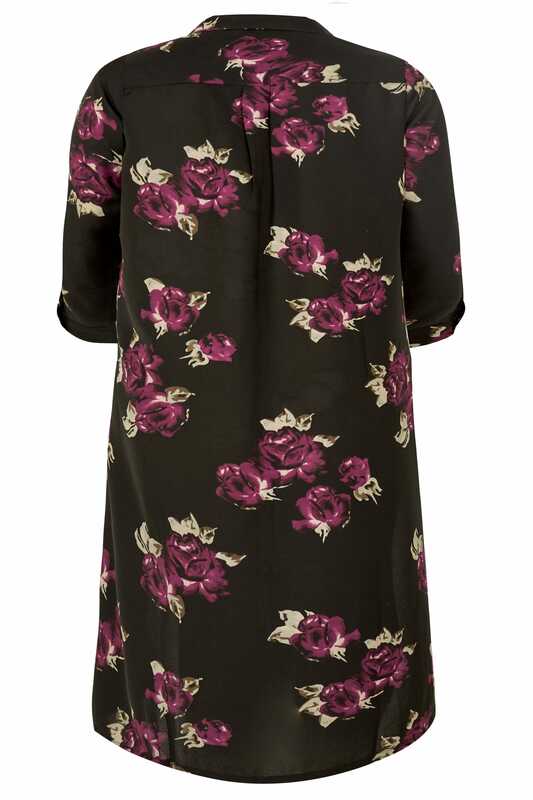 Made from a non-sheer chiffon fabric, it features long sleeves with button cuffs and side splits for easy movement. 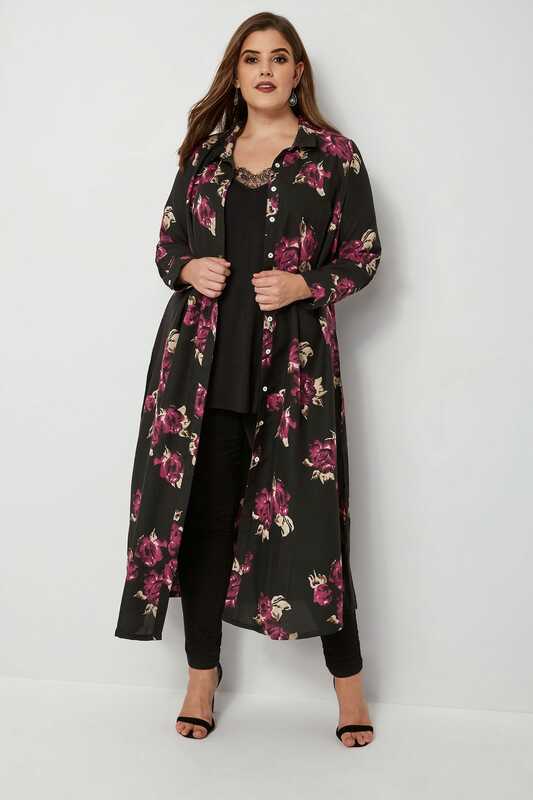 Style with dark denim and a pair of high sandals to complete the look. 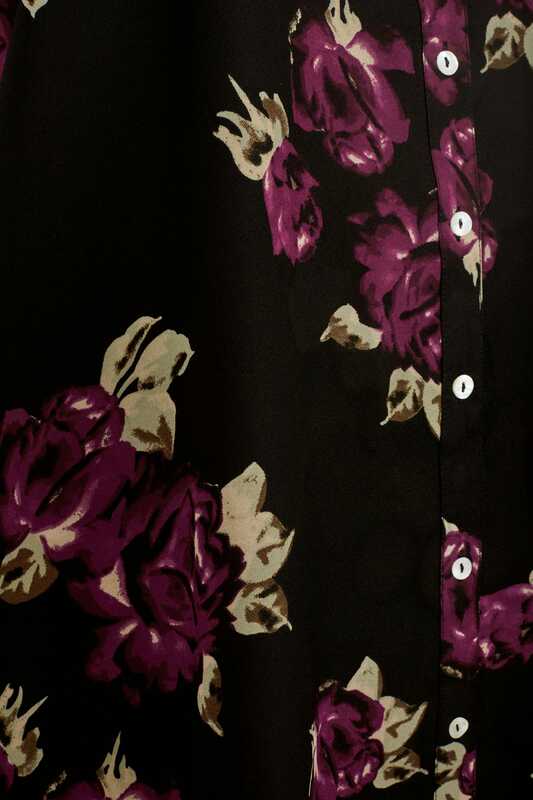 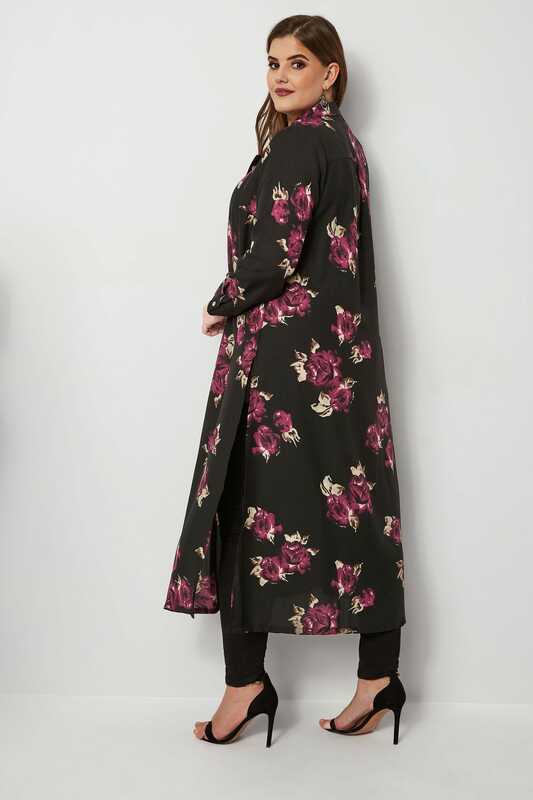 Bold in a dark floral print, it is perfect for adding a dose of style to your smart-casual wardrobe.